Blame the cafe culture, our busy lifestyles or the increasingly affordable Nespresso machine – whatever it is, the coffee cravings in Australia are intensifying. Currently we down around 3kg of coffee per annum, a modest amount when compared to countries like Finland (12kg) and Norway (10kg) but huge when you consider 50 years ago we were going through .5kg a year. But is the legal stimulant really all that bad? When it comes down to it, coffee consumption hasn’t been linked to any serious long-term health problems. It has, however, been associated with a number of interesting health benefits. Research has found that coffee demonstrates positive effects in the prevention of conditions like Type 2 diabetes, various cancers (such as prostate, liver, kidney, even skin cancer), Parkinson’s and Alzheimer’s disease. As many will attest, coffee is well known to increase alertness and cognitive function. Coffee is a source of antioxidants. A study conducted in 2005 even named coffee as the number one source of antioxidants in the average American’s diet! Though I’m sure this is largely a poor reflection of Americans’ fruit and vegetable consumption, it’s an interesting find nonetheless. 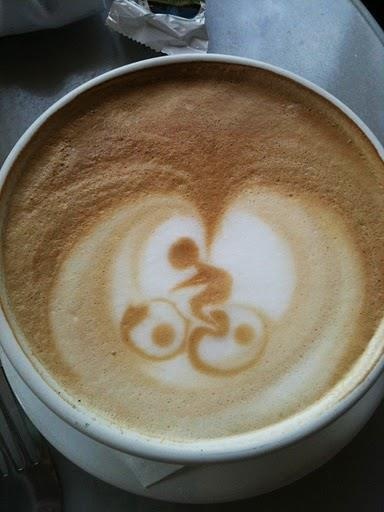 Caffeine, including that ingested through coffee, can boost physical performance in endurance exercise. This was demonstrated in a study comparing the performance of athletes completing a cycling time trial. Prior to the exercise, each participant consumed a drink consisting of a placebo, caffeine, instant coffee, or decaf instant coffee. Performance times were significantly faster for those who had consumed the caffeine and instant coffee rather than the placebo and decaf coffee. The myth that coffee is dehydrating has been well and truly busted, with plenty of research showing that, when consumed in moderation (up to around 4 cups a day), coffee provides similar hydration to water. Certainly there are plenty of potential benefits from consuming coffee, but it’s still possible to have too much of a good thing. In large amounts, the caffeine from coffee can lead to heart palpitations, insomnia and tremors. Worse, though, are the unpleasant withdrawal symptoms that can come from cutting down on or missing your regular morning coffee. Headaches, muscle stiffness and irritability are common in those experiencing withdrawals. Caffeine can act as an appetite suppressant. With moderate consumption, this isn’t something of major concern, but downing mug after mug may lead to skipping meals and missing out on nutrients vital for good health. Caffeine can interfere with the absorption of certain nutrients, namely calcium, magnesium and iron. Again, if consumption isn’t ridiculous, this shouldn’t be a major issue. Those who are pregnant are recommended to limit caffeine consumption to under 200mg a day, as caffeine can be absorbed by the placenta and the developing baby, whose maturing metabolism is unable to fully process caffeine. 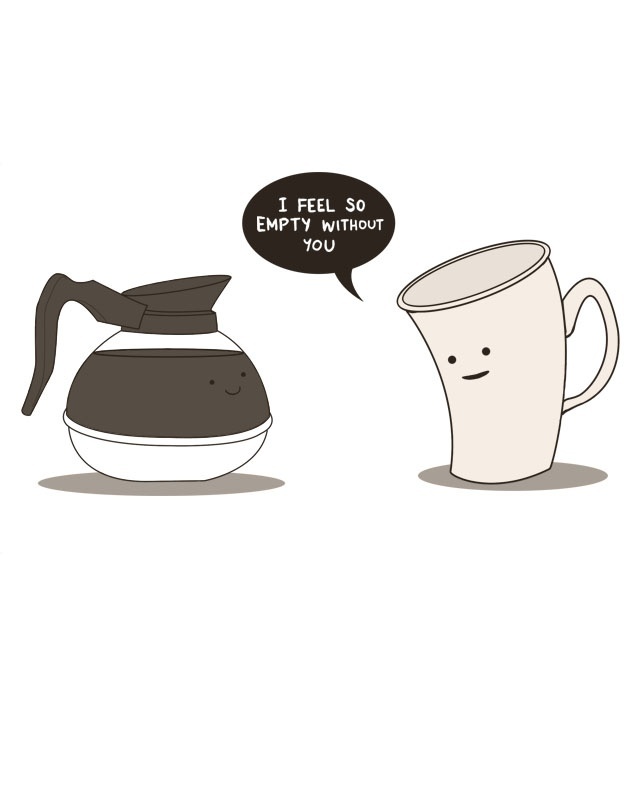 Black coffee is generally kilojoule free. Add milk, sugar, or flavourings found in popular ‘frappuccino’ style drinks, and you’re also adding some serious energy to your day. Dietitian Kara Landau (The Travelling Dietitian) makes a great point in suggesting to “order your soy or milk based drinks (coffee) as part of your meal.” It’s easy to forget that a regular sized cappuccino might contain around 500kj – the equivalent of almost 2 slices of bread – making a cup of coffee a snack in itself. Add a couple of teaspoons of sugar to that and you’ve upped it to 800kj. If you’re a coffee guzzler, reducing your intake to 1-2 cups a day (sans sugar, preferably), could lead to weight loss, as was the case with UK journalist Frances Childs, who lost 3kg from cutting out coffee and tea for a month. 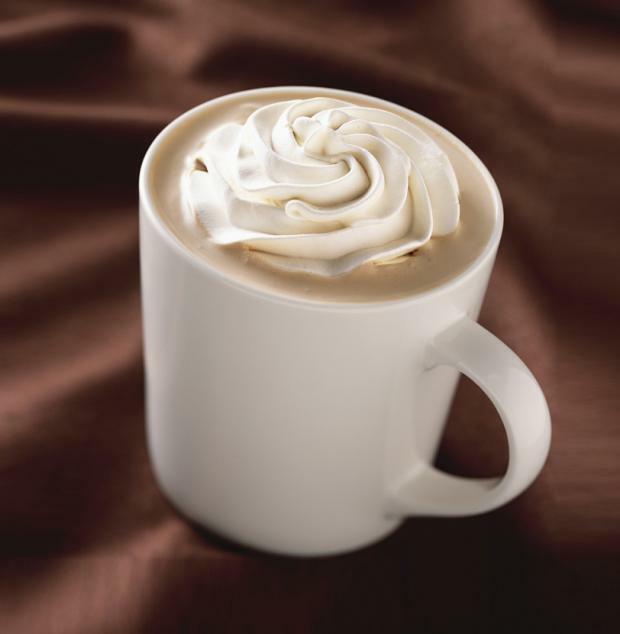 White Chocolate Mocha from Starbucks… up to 2,500 kilojoules for the largest size. Some people are more sensitive to caffeine in coffee than others, something that you can easily gauge from your bodies reaction to consumption. Two coffees a day is my maximum, otherwise I feel awful and can’t concentrate. The Dietitians Association of Australia recommends limiting caffeine consumption to a maximum of 300-400 mg per day, with a regular cup of coffee containing around 80-120mg of caffeine per cup. Bear in mind that caffeine sneaks its way into a number of other common food products too, like chocolate, soft drinks, tea, and energy drinks. Consumed in moderation, coffee can be part of a healthy diet. As always, the most important thing is to monitor your consumption, limiting it to a reasonable amount and being aware of ‘hidden’ kilojoules. All in all, it’s good news for coffee drinkers, and it seems there’s little reason to be ashamed of your morning pick-me-up!